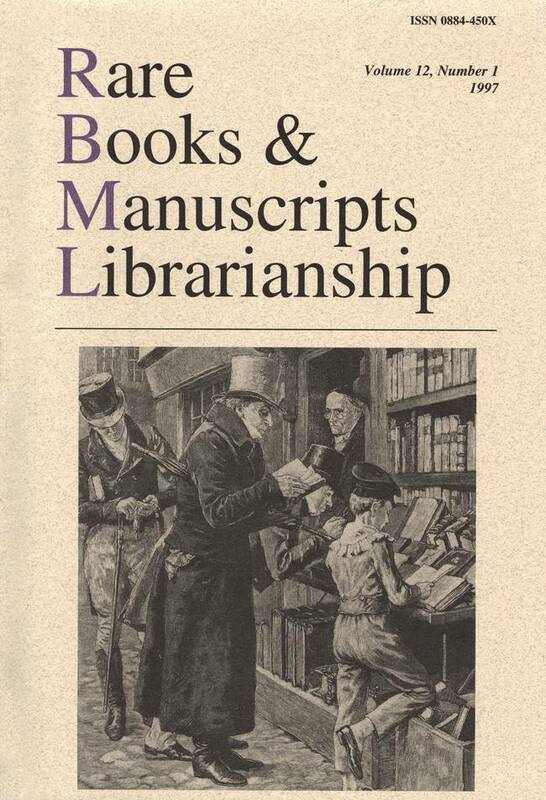 Cover: A second-hand bookseler's display, 1896. Frank Dadd (1851-?). Wood engraving. Illustration in a London weekly. From Siegfried Taubert, Bibliopola: Bilder und Texte aus der Welt des Bucchandels (Pictures and Texts about the Book Trade...), Vol. 2, p. 503 (Hamburg, Germany: Dr. Ernst Hauswedell; New York: R. R. Bowker, 1966).